The Sauropoda (meaning "lizard-footed") dinosaurs were a infraorder of the the Saurischian. Together with the infraorder Prosauropods, they form the Sauropodomorpha) suborder of Saurischia. Dinosaurs in the Sauropod infrarder include, among others, Apatosaurus (also known as "Brontosaurus"), Brachiosaurus, and Diplodocus. Sauropods first appeared during the later part of Triassic period, and at that time resembled their sister infraorder, the Prosauropods. By the late Jurassic period, Sauropods had become extremely widespread, and they survived until the end of the Cretaceous period, about 65 million years ago. Of course during all this time, no single species survived - instead a succession of different Sauropod lineages appeared at different times. At the end of Cretaceous, the Sauropods finally became extinct, along with all the other non-avian dinosaurs. Sauropod dinosaurs were herbivorous (plant-eating). They were quadrupedal (walking on four legs), and they had thick pillar-like legs with five toes, although only three toes had claws. They had long necks and small heads and usually had long tails.. Additionally, some Sauropods had armor such bony osteoderms (found for example in Ampelosaurus and Saltasaurus), clubs in their tails (for example in Shunosaurus), or spined-backs (for example in Augustinia). Sauropods are of course well-known for being large animals. Even the smallest dwarf species of Sauropod were 20 feet (6 meters) long, and the largest Sauropods were at least 130 feet (40 meters) long. There is evidence that there may have been some species that grew to 180 to 200 feet (55 to 60 meters) in length. Why Sauropods evolved to become so large remains a matter of debate. Clearly there was some evolutionary advantage to being such huge sizes, but we can not entirely sure what it is. 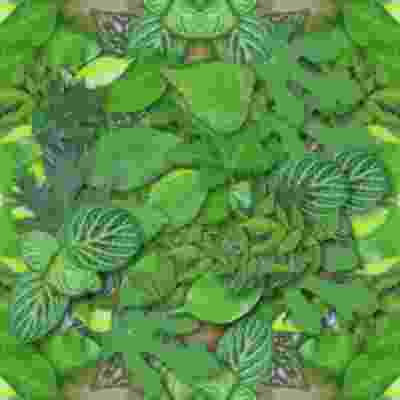 Some hypotheses that have been proposed include the relative immunity from predators that large size conveys, longer life spans, greater energy efficiency, or simply the fact that large-size allows herbivores to digest food more effectively. There is a good evidence (for example fossilized trackways) that many species of Sauropods lived in herds. It is thought that many herds were separated by age, as juvenile animals appear to have eaten a different diet from adults. From The Land Before Time to Jurassic Park, images of fantastically large, long-necked, plant-eating dinosaurs have captured our imaginations. These are the sauropods: centerpieces of museums and gentle giants of the distant past. Imagine what it must have been like to crest a hill and see in the valley below not just one sauropod, but an entire herd, feeding its way across the landscape. The most massive land animals ever to have lived, sauropods roamed widely across the continents through most of the "Age of Dinosaurs" from about 220 to 65 million years ago. They reached incredible sizes, giving rise to the question: Why were they so big? Early guesses suggested that they gained protection from predators by virtue of their size, which also allowed them to reach the tops of trees in order to eat leaves and conifer needles. More recent hypotheses hold that they needed a long and complicated digestive tract due to their consumption of low-nutrient food sources: size was an offshoot of that need. Whatever the explanation, there is little doubt that natural selection produced something extraordinary when the Sauropoda diversified into a wide variety of species. This book combines majestic artwork and the best of paleontological research to resurrect the lives of sauropods. The Sauropod Dinosaurs shows how these amazing creatures raised and defended their young, traveled in groups, and interacted with the rich diversity of Mesozoic plants and animals. Beautiful enough to sit on the coffee table, the book also serves as the best reference available on these bygone giants. Anyone with a passion for dinosaurs or prehistoric life will cherish this once-in-a-generation masterpiece. Sauropod dinosaurs were the largest animals ever to walk the earth, and they represent a substantial portion of vertebrate biomass and biodiversity during the Mesozoic Era. The story of sauropod evolution is told in an extensive fossil record of skeletons and footprints that span the globe and 150 million years of earth history. This generously illustrated volume is the first comprehensive scientific summary of sauropod evolution and paleobiology. The contributors explore sauropod anatomy, detail its variations, and question the myth that life at large size led to evolutionary stagnation and eventual replacement by more "advanced" herbivorous dinosaurs. Chapters address topics such as the evolutionary history and diversity of sauropods; methods for creating three-dimensional reconstructions of their skeletons; questions of sauropod herbivory, tracks, gigantism, locomotion, reproduction, growth rates, and more. This book, together with the recent surge in sauropod discoveries around the world and taxonomic revisions of fragmentary genera, will shed new light on "nature's greatest extravagances." Sauropods, those huge plant-eating dinosaurs, possessed bodies that seem to defy every natural law. What were these creatures like as living animals and how could they reach such uniquely gigantic sizes? A dedicated group of researchers in Germany in disciplines ranging from engineering and materials science to animal nutrition and paleontology went in search of the answers to these questions. Biology of the Sauropod Dinosaurs reports on the latest results from this seemingly disparate group of research fields and integrates them into a coherent theory regarding sauropod gigantism. Covering nutrition, physiology, growth, and skeletal structure and body plans, this volume presents the most up-to-date knowledge about the biology of these enormous dinosaurs. Did you know that Brachiosaurus could eat tree leaves more than 40 feet off the ground? Or that Brachiosaurus, Supersaurus, and other giants swallowed leaves whole because their teeth were ill equipped to chew? In Giant Dinosaurs! The Sauropods, kids learn about the enormous sauropods that shook the ground as they walked on four legs. Readers also learn about how scientists use fossils to trace the rise of the Age of Dinosaurs, 252 million to 66 million years ago.Did some dinosaurs have feathers? Were all dinosaurs huge like the tyrannosaurus, long-necked like the brachiosaurus, or spiked like the stegosaurus? Meet fierce, birdlike, armored, and giant dinosaurs from hundreds of millions of years ago! Colorful and scientifically accurate illustrations paired with intriguing facts will be sure to captivate your kids in grades 4-8. World Books four-volume Dinosaurs! series explains the origins and features of more than 100 types of dinosaurs. Sauropods, or long-necked plant-eating dinosaurs, are the largest land animals that have ever lived, with the biggest species discovered so far, Patagotitan mayorum, weighing as much as twelve African elephants! Why did they grow so big, and what was the purpose of their long necks? 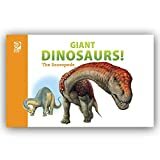 Readers will learn about all different kinds of sauropods, their features, what they ate, their nesting sites, the herds they lived in, and more. Paleontologists who have discovered sauropod fossils all over the world are recognized. 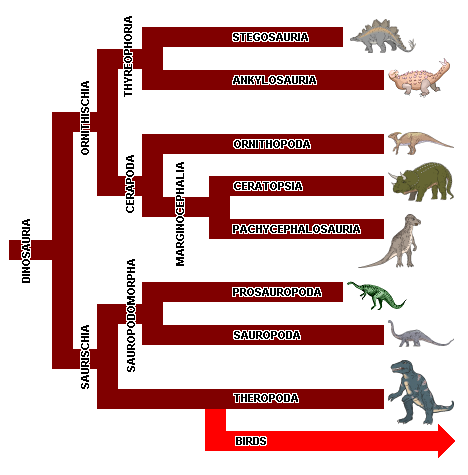 Sauropoda, or the sauropods, are an infraorder of saurischian dinosaurs. They had very long necks, long tails, small heads, and four thick, pillar-like legs. Describes the lifestyle, physical characteristics, diet, and behavior of the long-necked herbivores, considered the longest, tallest, and heaviest land animals.